RX014 is a high quality tool intended to receive and analyse FM broadcasts which not only transmit audio but also carry RDS/RDS2/RBDS data. 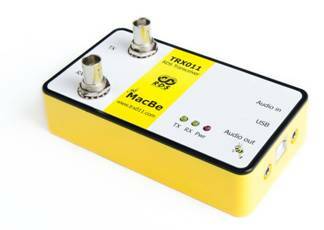 RX014 is ideally suited to be used as a reference receiver during road tests. An ultra-fast scanner is built in which will do a full band scan in 1 second on a 100 kHz grid to show a full RSSI picture of the entire FM band, so signal conditions can be monitored continuously. The locations of the alternative frequencies are shown simultaneously. RX014 is a very powerful tool---if not the most powerful---to monitor and fully decode all broadcast RDS/RDS2/RBDS data. The data is presented in an easy to understand way and also includes statistics on received data quality. All received data can be stored in a file and played back later for further analysis. The RX014 can be used without a computer with the new DS016 docking station instead. Using the RX014 required a so far a PC. However, many users preferred a stand-alone solution for remote monitoring. The DS016 docking station turns an RX014 into a very sophisticated self-contained data gathering tool. The RX014 control program has been updated to fully support the new DS016. Many of the latest features of RDS which will are described in the newly upcoming edition of the RDS standard IEC 62106 are already implemented, such as LPS (Long Program Service name coded in UTF-8), eRT and eRT+, also coded in UTF-8 and decoding of tunneled RDS data transmitted on the upper RDS carriers. Naturally this new version may be freely downloaded, as it is always the case for MacBe products. A second innovative RDS tool was first presented to the RDS Forum 2012. 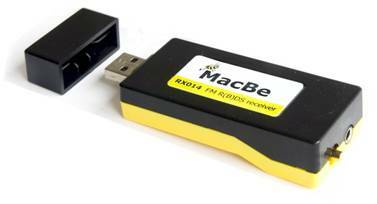 This universal RDS transceiver can receive and decode all RDS transmissions worldwide. The received data can be stored, analysed (presented in a very convenient way, in an .xls file) and can also be transmitted, at low power, for other tests. The TRX011 unit is an extremely powerful tool for everyone who is professionally involved in RDS or RBDS. The TRX011 unit connects to the host via USB and does not require additional power. 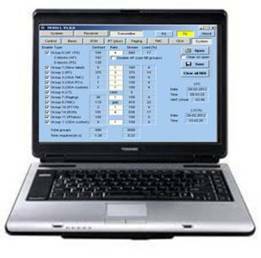 The software runs on all Windows platforms and does not require any drivers.